Located in beautiful Boulder, Colorado sits the Boulder Shelter for the Homeless. Since 1982, this non-profit has been offering shelter, meals, and help to Boulder’s homeless. With over 105,800 meals served each year the Boulder Shelter has not only helped save countless lives, but also created a positive sense of community for the homeless. Advanced Remarketing Services cannot be thankful enough there’s an organization as socially responsible as the Boulder Shelter for the Homeless. Without their efforts, Boulder would have a far undeserved group of people struggling to live. So donate your car today! Begin by contacting ARS and we will help make your car donation simple and easy! With the money provided from this car donation, you have helped ensure that the Boulder Shelter for the Homeless will continue their great work for years. 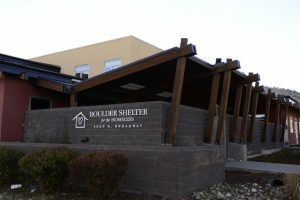 The Boulder Shelter for the Homeless is a pristine facility that can sleep 160 adults per night. Boulder Shelter offers a transition program that prepares adults for what life is like outside of homelessness. Since 1996, there has been 982 graduates that are now healthy functioning members of society. Boulder Shelter also has an on-staff mental health therapist that aims to help clients move past any mental or emotional problems. With a resource like this offered in a shelter, it makes the transition from homelessness much easier. The Boulder Shelter strives to heal and help the homeless in any way they can. Donate your car today and help the Boulder Shelter for the Homeless. The shelter will gladly accept any donations and put them towards food, shelter, and any other necessities the guests need. A car donation is a great way to help support a charity that you feel is making a difference. Call Advanced Remarketing Services today and start your car donation that will help make a difference in someone else’s life.